The first book of the Bible I ever translated from Hebrew to English was Jonah. My five-member Ancient Hebrew class would gather with our professor at 8:00 a.m. on Mondays, Wednesdays, and Fridays in the refectory for coffee, cereal, and translation. We were always tired and a bit silly, so it was good that we were working with Jonah which is only four chapters long and entertaining. When Christians study Scripture, we tend to ignore the comedy of Jonah mostly because it doesn't translate naturally from Hebrew into English. Plus, laughing feels irreverent even when God intends it. As a child, I learned about Jonah “and the whale” on Sunday school felt boards while gobbling animal cookies and juice. 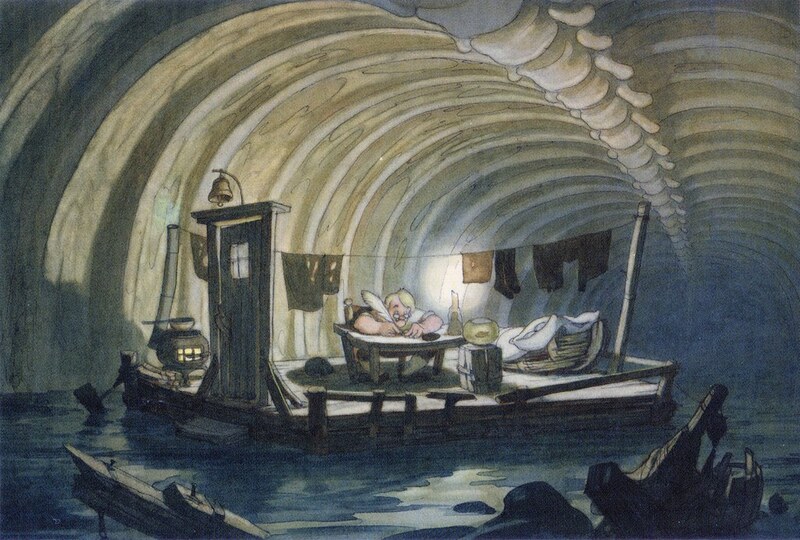 I pictured the prophet bobbing around inside that whale as Pinocchio and Geppetto sailed the stomach juices of Monstro before getting sneezed out. Jonah's was a cautionary tale: obey God’s commands, or you’ll be punished (maybe by swimming with rotting fish carcasses inside a whale belly). There's nothing funny there. That moral of the story isn’t necessarily wrong, but it also isn’t the point of the book. The Book of Jonah is not a biography of a bad prophet; it is a satirical tale of a man who thinks he is more deserving of God’s grace than his enemies are. His opinion is absurd, so everything that happens in the book is extreme. God says, “Travel about 500 miles west to the city of Ninevah.” Jonah decides to sail about 2,500 miles east to the tip of Spain. That’s a different mode of transportation in the opposite direction for five times the distance. God sends a hurricane to stop one ship sailing the Mediterranean. Jonah says, “Drown me, and the winds will stop.” His baby toe hits the water, and there is instant calm. A fish (be it bass, tuna, or shark—but definitely not a whale) carries Jonah back to dry land. A fish. No explanation needed there. God says, “Go give My message to the people in Ninevah.” Jonah takes about three steps into a city the size of Los Angeles and says to no one in particular, “Stop it, or God will kill you.” And they do. One glorified whisper from one random foreigner leaning against the wall of their city, and all Ninevans—and their animals—repent. Jonah climbs a hill and pouts because God is just too nice to everyone, including Jonah. God refuses to kill Jonah as the prophet requests because, once again, God is just too nice...to any who rebel against Him. The salvation of 120,000 people doesn’t teach Jonah the value of God’s mercy, so God kills a day-old bean plant just in case that might do the trick. Then we are left hanging: “You have had pity on the plant for which you have not labored, nor made it grow, which came up in a night and perished in a night. And should I not pity Nineveh, that great city, in which are more than one hundred and twenty thousand persons who cannot discern between their right hand and their left—and much livestock?” (Jonah 4:10-11). God asks Jonah a rhetorical question, but we never hear the prophet's answer. If we try to take it seriously—or literally—then Jonah's is the most bizarre story in the Bible. But if we remember that this is a silly story meant to convey a deep truth (that is, satire) about God’s consistent grace for all people in all nations, then the Book of Jonah is poignant. It is tempting to read Jonah and mock him, thinking we know better and behave better than the prophet. But really, we are the prophet. Too many Christians want to limit God’s grace to only those people whom we think deserve it. We will bend over backward—sail through a hurricane or sleep in a fish—to see our own “enemies” punished when we are no better than they are. That attitude is absurd, and God knew it would take an absurd story to show us our own prejudices. No foolin'! “Amelia Bedelia, the sun will fade the furniture. I asked you to draw the drapes,” said Mrs. Rogers. That particular blunder by Amelia—sketching a picture instead of closing the curtains—especially bothered me as a kid. My mother had taught me that furniture is an investment: couches are for sitting, not dining. The idea of faded or stained fabric worried little me to no end! Amelia Bedelia came back to haunt me when we bought our late-nineteenth-century American Foursquare. It still has the original wavy-glass windows. They are gorgeous; but they are energy inefficient, let in all sorts of road noise, and without that modern low-E coating new windows have, my upholstery started fading. Fast. Now big me is reliving the worry; I literally draw—as in, close—the drapes wherever the sun streams in the afternoons. Is it partially Amelia Bedelia’s fault that the word literally has become a too-common almost-meaningless adverb we all drop into sentences whether or not we actually mean what we are saying literally? I used that word a lot in my new book about how to read the Bible, and each time I checked myself: Do I really mean literally? Or am I describing something figuratively? The misuse of the word has become one of my adult pet peeves. Too often people end stories by saying, “That literally blew my mind!” No, no it didn’t, or you wouldn’t be sitting there. Amelia Bedelia and every second grader in America know better. One place where the word literally gets above-average use is the church. It has become fashionable for some Christians to brag that they take every word of their chosen Bible translation “literally,” as would Amelia Bedelia. She was always well-intentioned but consistently struggled to understand the difference between what people said and what they meant. We shouldn’t want to emulate Amelia in this way, especially in our relationships with Scripture. As I was writing about biblical translation techniques for Blue Eye Shadow, I ran across a social media post claiming that only the King James Version of the Bible has literally preserved God's Word. I was shocked by what I read. The anger that so many of the 100+ respondents hold toward other Bible versions and the people who translated them or prefer them leaves no room for grace and love of others. presented to King James himself would do. As I got deeper into the post, I realized how ill-informed they were about language. 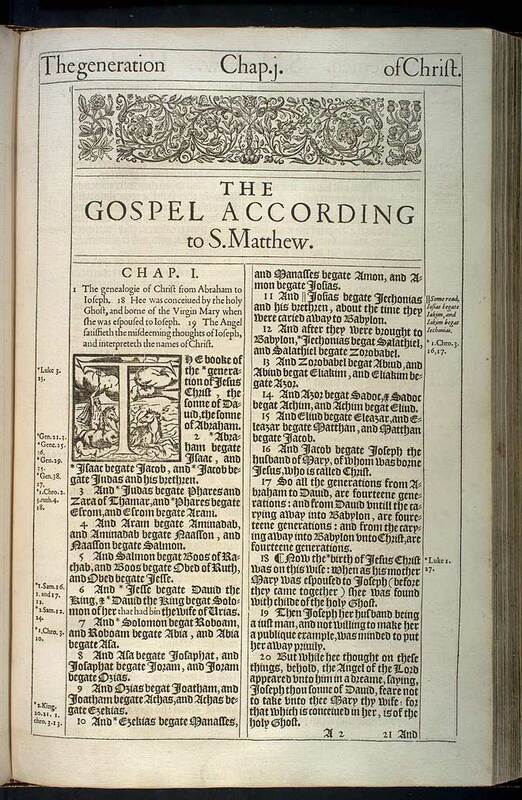 Many argued for sola KJV with half-facts or complete ignorance of Scripture's historical development and translation process. Don't get me wrong: I enjoy the KJV. I particularly prefer its use of "charity" rather than "love" in 1 Corinthians 13 because Paul is not discussing romantic love in that letter, as modern readers tend to assume when the chapter is read out of its context. That chapter wouldn't be so commonly misused in weddings if Bible translation had stopped in 1611. Many Christian literalists, even those brazen enough to study the NKJV, claim their Bibles contain word-for-word literal translations of the Hebrew and Greek. But that is literally impossible. One word in Hebrew often requires an entire sentence in English, as a two-word sentence in French—je t'aime—requires three words in English: "I love you." Such a translation is called by some "phrase-by-phrase," acknowledging the grammatical differences between languages, and it is no better or worse than word-for-word. In fact, both are necessary in good translations. But language should not be flattened into definitions and grammar. When it is, we are left wondering if a curtain should be drawn with a pencil or drawn closed by a hand. Both meanings of drawn are literally correct, but the contexts of culture and situation inform the meaning of the word. All languages are filled with figurative phrases in their prose and poetry that are easily lost in translation when translators and readers are unfamiliar with foreign cultures. "Love" is represented by a heart in English, but ancient Israelites might have used a lotus instead. Likewise, King James's seventeenth-century British subjects declared love with spoons, whereas spooning has a totally different meaning to Westerners today. Insisting that every word of Scripture must have a literal meaning that is the same in all languages at all times limits the power of words and ideas. The Bible’s literature is simply too deep and too creative to have its range of meanings diminished to fit into our narrow minds. To better understand and appreciate God's Word, we must study not only the words of a Bible translation but also the cultures that recorded them yesterday and that hear them today. God's truth never changes, but languages do. *Peggy Parish, Amelia Bedelia (1963; New York: HarperFestival, 1999), 48. David Haley. From this place, on this weekend, did this blog originate. As David and I left Colorado in 2015, I was professionally rudderless and wounded. I found myself in a new place I knew could become my lifelong home, but where I could not envision my professional future. I prayed for direction and peace. I carried with me from Denver one particular enduring friendship with Stephanie. We were coauthoring a manuscript based on her experiences as a news anchor with the aim of encouraging young women to find success and contentment not in worldly achievements but in their relationships with God. But our work had begun to feel like a pipe dream as I returned to my years of freelance proofing, editing, and ghostwriting. The only yes we'd had was from a vanity publisher who would print our book as long as we paid a ridiculous sum for him to do so. Stephanie had a publicist who was still shopping our book to traditional publishers, but I was just jaded enough to assume that would fizzle to nothing. To pull myself out of the melancholy, I decided to abandon writing (unless I could help my friend), and I signed up for a class at the local college that would result in my contractor's license. David and I agreed--it was time to start a new chapter of our lives. I would take my love of and skills in restoration and become a residential contractor, if for no other reason than to work confidently on our own house. Those 2 e-mails were a full stop to our new plans. The first was a very polite rejection letter for our coauthored book. It was more than polite--it was helpful. The acquisitions editor who wrote it took the time to explain why our book wasn't a fit for their publisher, and she offered some suggestions. This is practically unheard of; writers are typically lucky to receive even a form letter of rejection. The second email was from the same acquisitions editor, but sent only to me. She had "cyber stalked" me after receiving our book proposal based on my bio and curriculum vitae. She wondered what my plans were for a follow-up to Barren and asked to chat. I was shocked. Thrilled. Nervous. This had all come about because of Stephanie's efforts to get our book published, but now I had a publisher coming directly to me. As soon as David got out the door to work, I called Stephanie. She answered the phone in her usual energetic way that makes even saying "hello" a challenge! She agreed with me that the rejection was so nice--even encouraging. But she went on to say, "The whole time I was reading about what they are looking for in their authors, I kept thinking, They just need to sign Amanda!" "Well, Stephanie, as a matter of fact..." I told her about the other email. She was (and continues to be) over-the-moon thrilled for me. *Since I wrote that blog post, the InScribed Collection has been rebooted with new authors.